Family businesses often function without a net. They work by default, as processes and procedures handed down through generations are implemented without consideration of their long-term efficacy. As a result, when difficulties strike many family businesses are unprepared to activate contingency plans. 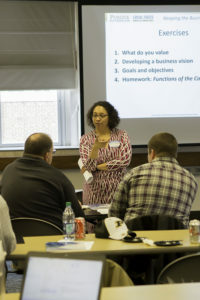 Agricultural Economics Professor Maria Marshall leads the Purdue Initiative for Family Firms (PIFF), which helps family businesses by approaching their practices holistically. PIFF offers these businesses research-based business management resources that improve leadership and drive growth. The initiative’s goal is to help build stewardship among all business stakeholders. The initiative grew out of the work being done at the university to help family businesses overcome these common pitfalls. PIFF has received two consecutive grants from the USDA to further its efforts. Disaster recovery is an issue from which many small businesses struggle to rebound. These include weather-related issues like hurricanes and tornadoes, as well as significant regulatory policy changes that have major effects on output. The interplay of resources among a family and its businesses is of growing interest. Centers exist nationwide that spotlight these concerns. For PIFF, the focus remains on Indiana and the Midwest. The initiative’s first newsletter was released in February, 2017, which led to a jump in subscriptions on the website. Interactivity is encouraged by the group through the website’s question of the month, the results of which are posted in the newsletter. Marshall sees great opportunity to strengthen the multi-generational longevity of family businesses.